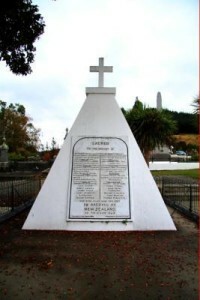 17 June 1843 A confrontation occurred at Wairau, near Blenheim, when a party of settlers from Nelson challenged members of Ngāti Toa iwi camped on disputed land. Twenty eight lives were lost during this tragic and unnecessary encounter. See # Wairau Confrontation for an account of this confrontation. 11 March 1845 Hone Heke Pokai and allies attacked the township of Kororareka, New Zealand’s first capital, burning it to the ground. Heke then retreated inland, pursued by the Brtish Army. 8 May 1845 The British Army caught up with Hone Heke at Puketutu, where a pitched battle took place. Puketutu was then Heke’s Pā. Many Māori died of bayonet wounds; many more were painfully wounded. This battle was probably the only occasion where Māori, perhaps rashly, rushed the British on the battle field. 30 June – 1st July 1845 The battle of Ohaeawai where, following an artillery barrage, the British Army rushed a strong Māori fortification. 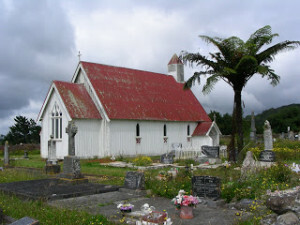 Most Māori were concealed underground, firing at ground level from behind pickets and pekerangi (thatched outer walls). The battle resulted in a major defeat for the British, who suffered 41 dead and 73 wounded. Historian James Belich has argued that ‘trench warfare was invented by Māori at Ohaeawai’. 11 January 1846 The British Army attacked the Māori Pā at Ruapekapeka. Though strongly constructed, Ruapekapeka’s hillside location exposed it to deadly British Artillery fire. After the British attack, the Māori defenders were persuaded to sue for peace, which they did. The Northern War was over. To read more on the Northern War, click here – # Northern War . To read Danny’s essay on Hone Heke, as published in the Mana Magazine, No 51, 2003, pp. 83-86, click here – # Essay on Hone Heke. To see a map showing the location of the Northern Wars, click here – # Map of Conflicts.